On our honeymoon, in South Beach, Miami, we stayed at a hotel that offered lots of fresh dishes created with local ingredients. 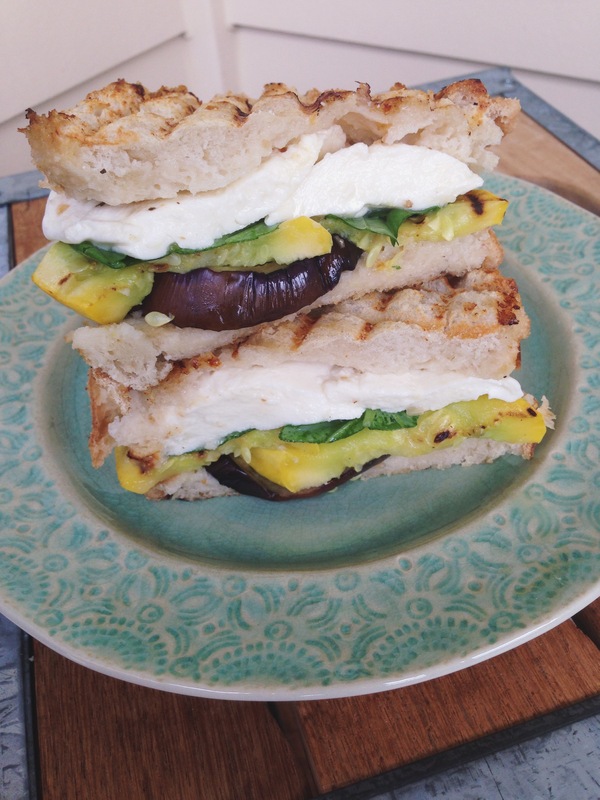 This recipe was inspired by an eggplant and squash panini that I enjoyed there. 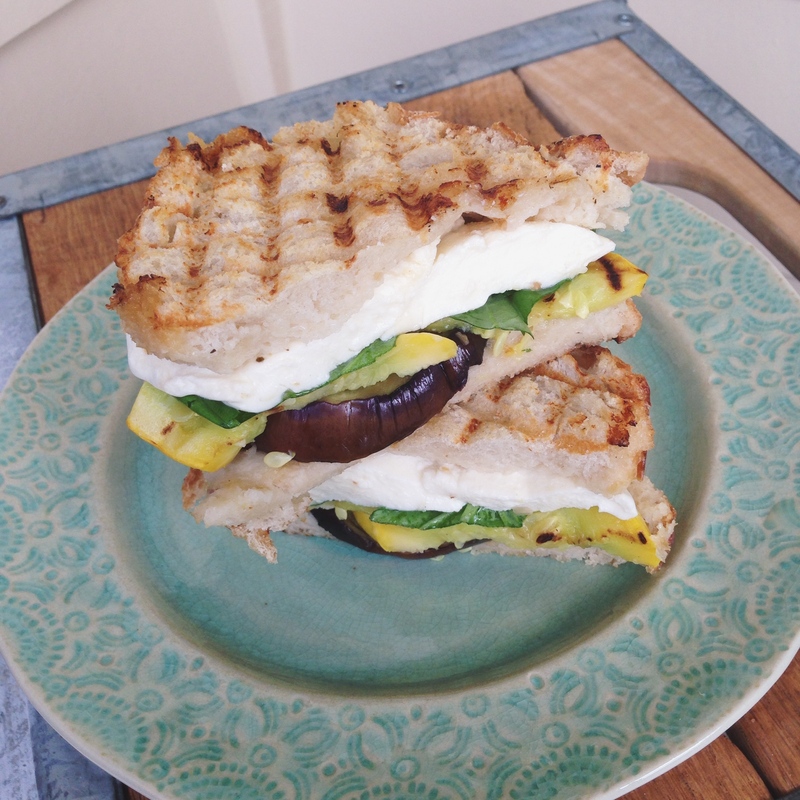 The fresh mozzarella caught my eye, even though I wasn’t sure what I thought about adding grilled vegetables to a grilled cheese, I decided to give it a try. I was surprised at how tasty it was, a light but filling sandwich. I love making paninis and grilled cheese sandwiches (like my Tomato Mozzarella with Pesto Grilled Cheese and Jalapeno Popper Grilled Cheese sandwiches). 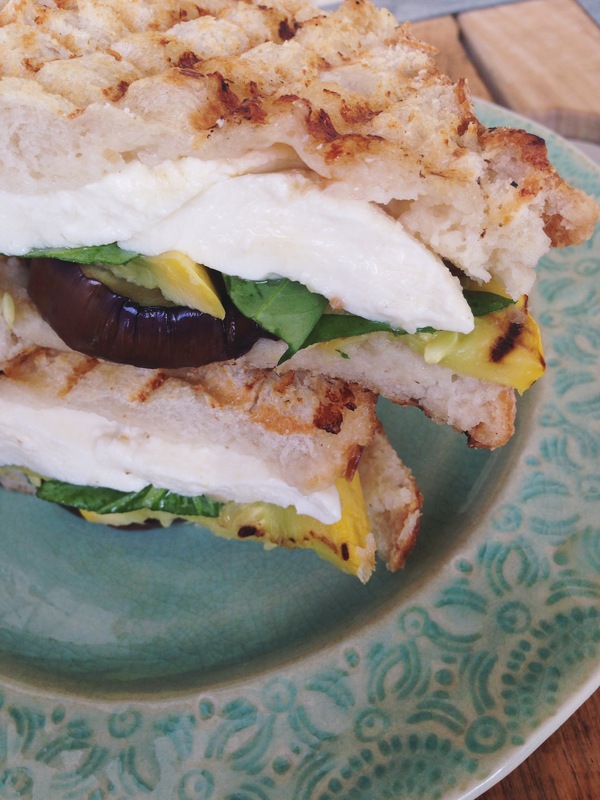 This panini is also incredibly easy to make at home! Thinly slice eggplant and squash. Coat a grill pan (or skillet) with a little bit of olive oil. Place veggies onto the grill pan, over medium heat, cook until they have softened. Slice bread and mozzarella while vegetables are cooking. Now assemble your sandwich! 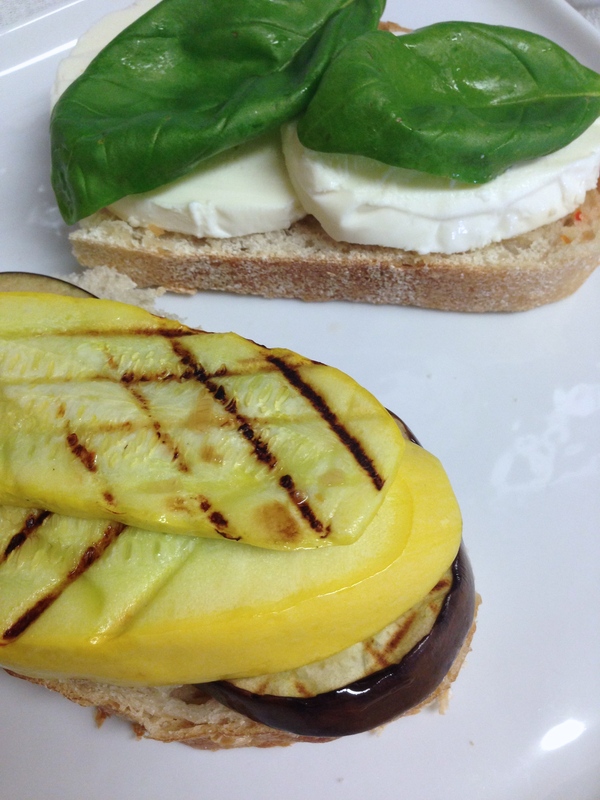 Lightly coat the inside of both slices of bread with italian dressing, then layer on eggplant, squash, mozzarella, and fresh basil leaves. Add more olive oil to grill pan if needed, then place sandwich onto the pan and toast until both sides have light grill marks. Cook your sandwich at a lower heat, for longer, if you prefer really melted mozzarella. Enjoy!